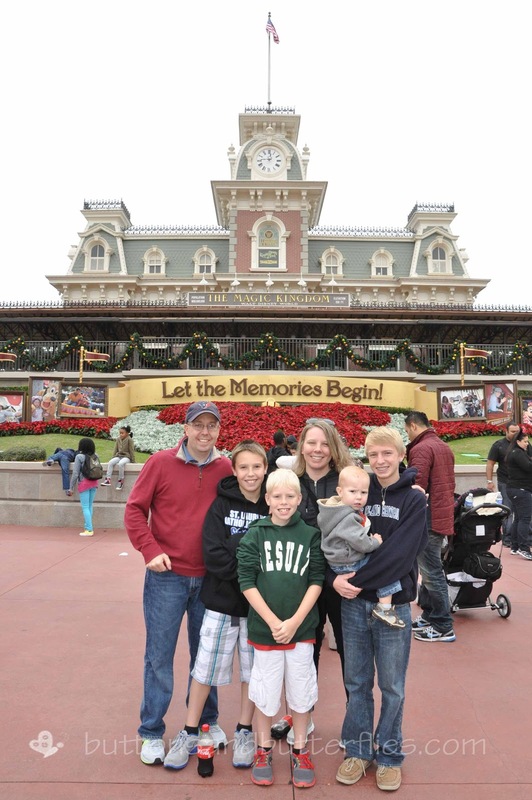 Magical is the only word that comes to mind for our family trip to Disney World. Ahh, forget it...I tried...it didn't happen! But I promise some super cute photos!!! It was my birthday and Mr. Boss knew I was not finished with my Mickey quilt for the trip. He gave me 2 hours to get it to it's "binding" stage...and I did it! 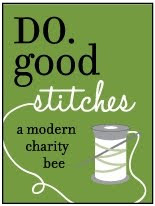 After picking up the boys from school and eating some dinner, I was hand sewing my binding in the car that evening! Oh...and we drove because Mr. Boss booked our trip exactly 5.5 weeks ago and plane tickets costs for six of us on a short notice? We finally arrived to Orlando, Florida! Button decided to make friends with a marble column in the lobby of the Grand Floridian where we were staying. The one the arrow is pointing to be exact! 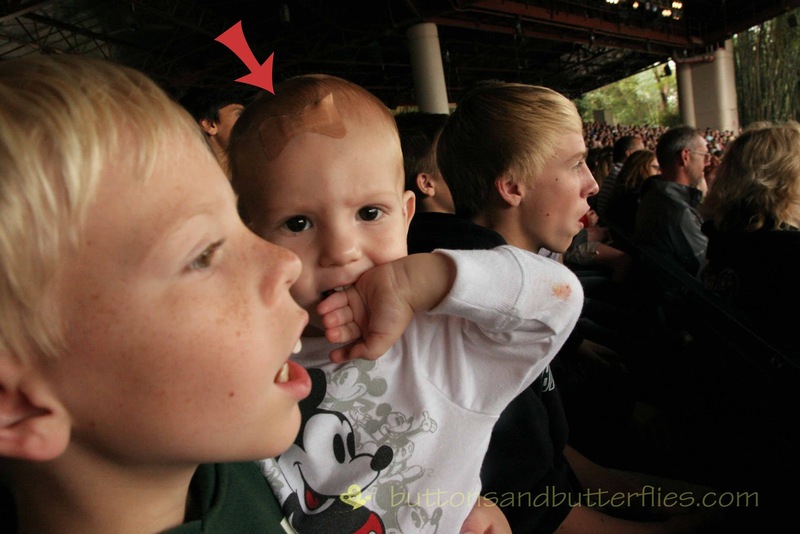 He is SO lucky that for some reason, he only dinged his head. It had a sharp corner at the bottom that he fell straight forward on. Visions of CT scans and a few days in the hospital for a skull fracture danced in my head. EMS was called...great....and he managed to only need some tender loving care and also received a stuffed Mickey Mouse with a matching band-aid from the resort employees to get him to smile and stop screaming...he was scaring all the other guests. No one is allowed to cry at Disney! We decided to use our Disney apps. We actually listened and went against all of our usual instincts to go to the Magical Kingdom, but instead, headed to Hollywood Studios. 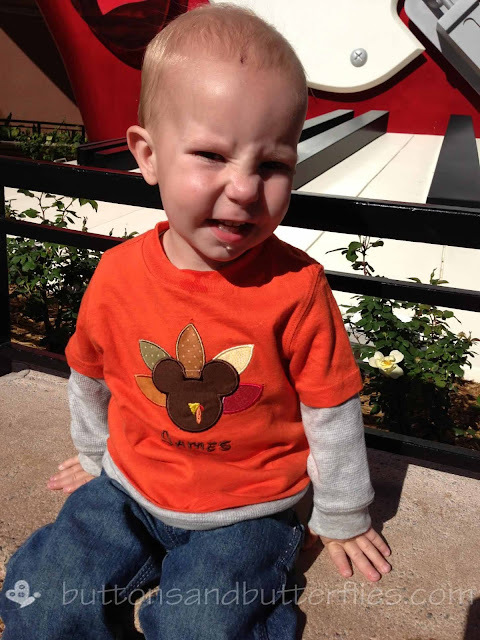 Watching his reactions on the Toy Story ride and seeing him light up during the Disney Jr. how was amazing. Hurry Josh...pick me up so I can get closer! Seeing him light up like a Christmas tree when he first met Mickey? 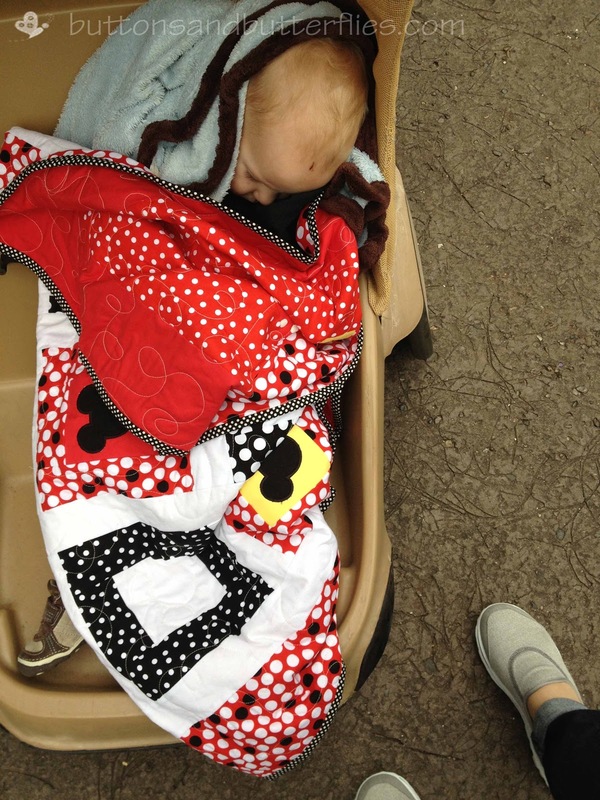 Mickey Quilt use #1: Naptime. A great pillow! 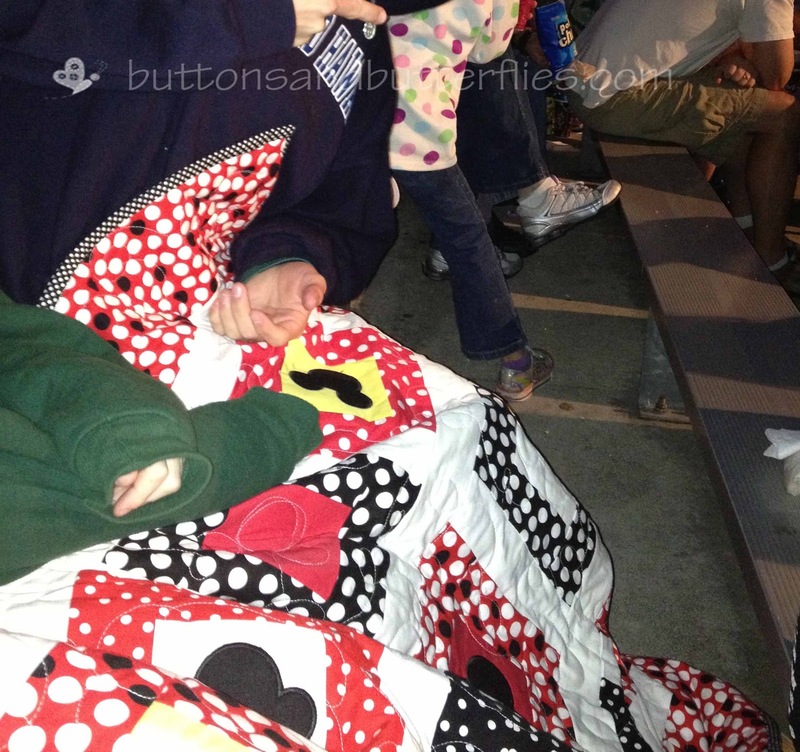 Mickey Quilt use #2: Fantasmic show spectators. It was freezing, but we were all wrapped up and warm! 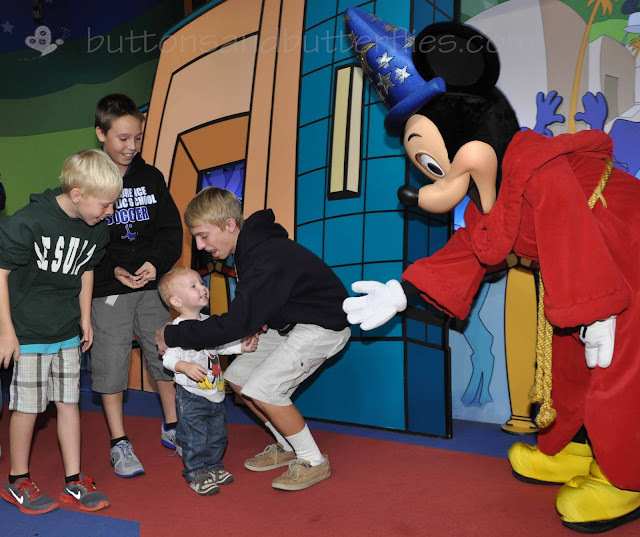 The boys were true sports and weathered all the "baby" rides...Peter Pan, It's a Small World, Pooh Bear, Dumbo...and a visit to see Goofy, Donald, Daisy, and Minnie. Kisses to be had for all. I think the characters loved Button more than he loves them! They had such a hard time moving on to the next groups. He would do his little sweet "bye" to them and they would run over to him again! 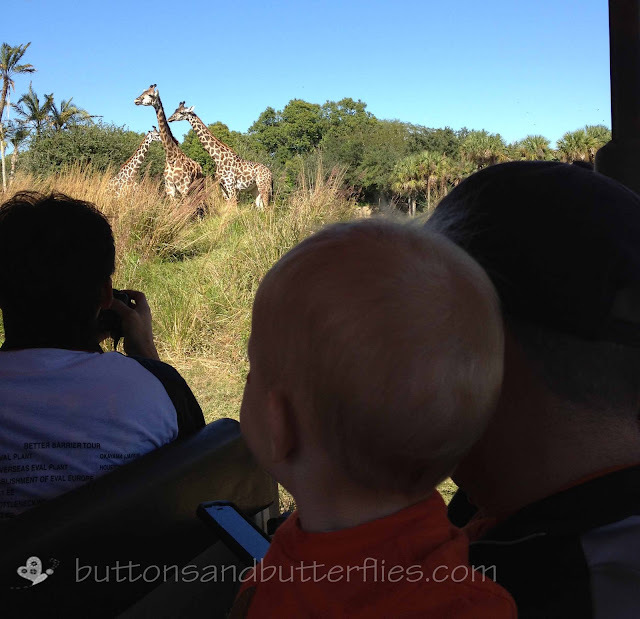 We headed to the Animal Kingdom when the afternoon crowds became heavy! I HIGHLY recommend you get the park hopper passes so you can hop around in one day like we do ALL the time! We have been on the Safari trip many a time, but due to the cooler weather...the animals were incredible!! I will seriously consider going to Disney in cool weather again. The animals seem to hide in the shade when it is hot in the past!!! Afterwards? 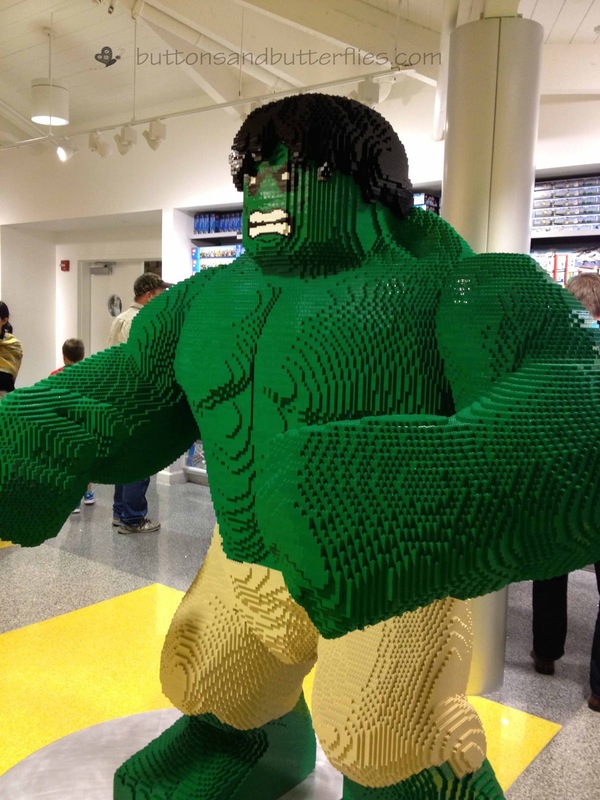 Off to Downtown Disney for some dinner and Lego store fun! 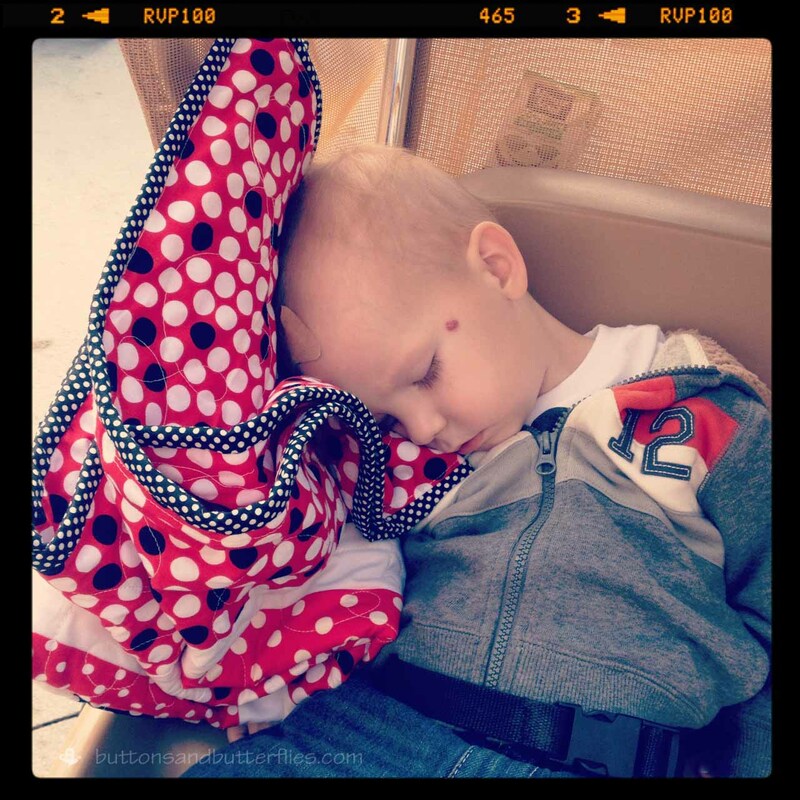 Mickey Quilt use #3: Naptime again! A slow start. We decided to get out of bed slowly...enjoy a nice breakfast at the hotel. Arrived to the Magic Kingdom. Boy...it was crowded...but we managed to get some rides in! We spent time making it to the various shows and also decided to park a spot for the Electric parade at night. I swear that some of those floats are the same ones I saw 31 years ago for the first time. 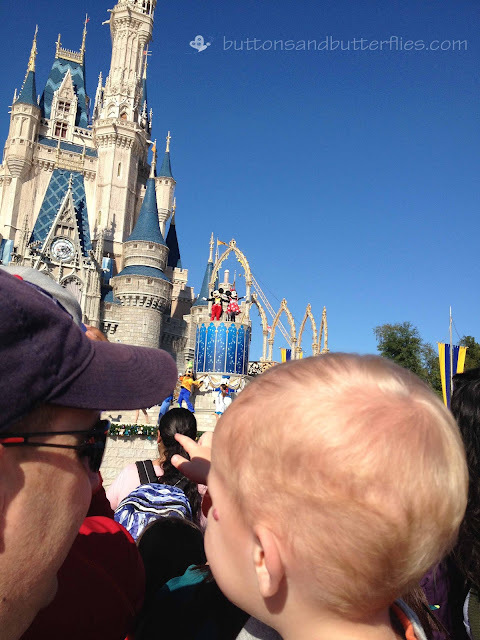 We hit the park earlier in anticipation of heavy crowds. 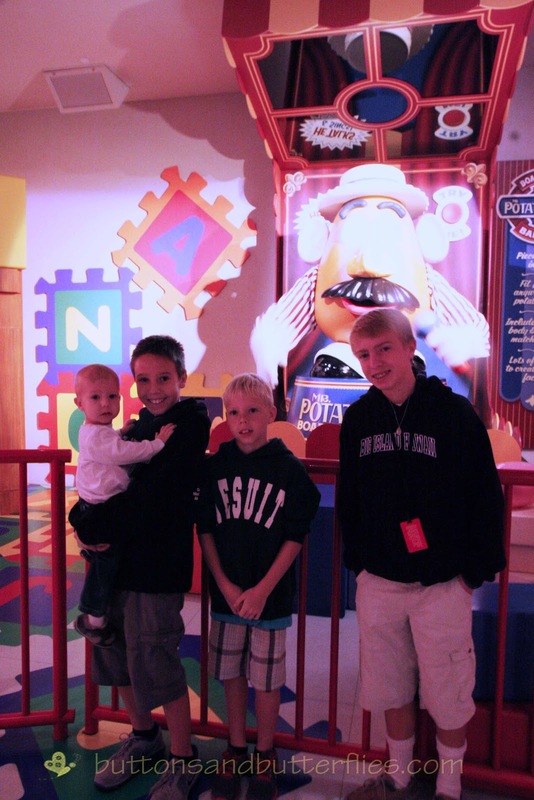 We mastered managing the Fast Pass system and making full use of the Walt Disney World "Line" apps. 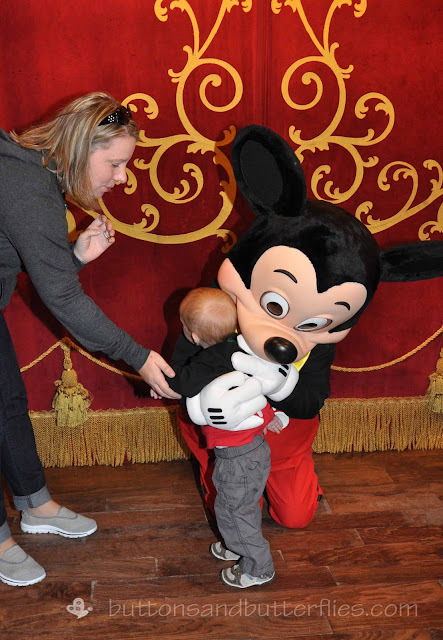 Of course, we had to see Mickey one more time. 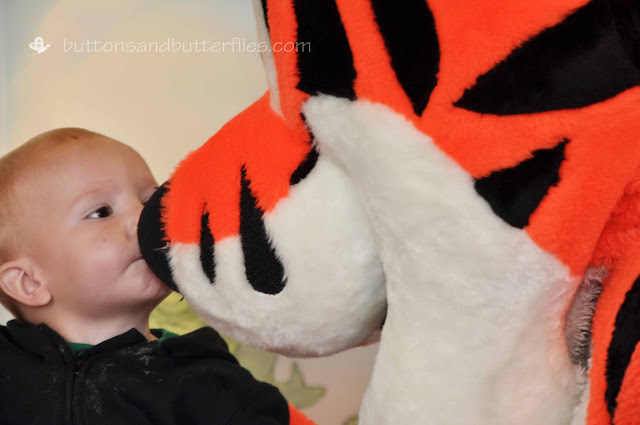 He needed a lot of hugs, kisses, and hi fives! Do you just LOVE this as much as I do? 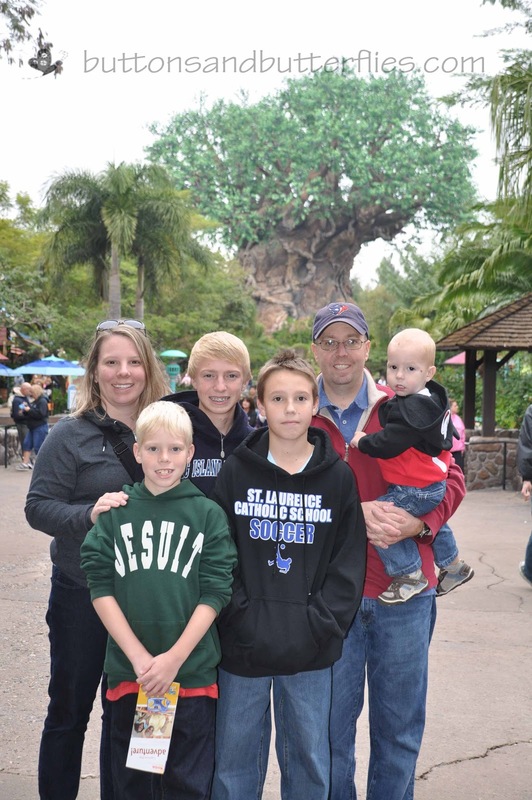 Hollywood Studios and Animal Kingdom. According to all websites and apps, the Magic Kingdom and Epcot were off limits for us due to crowds. 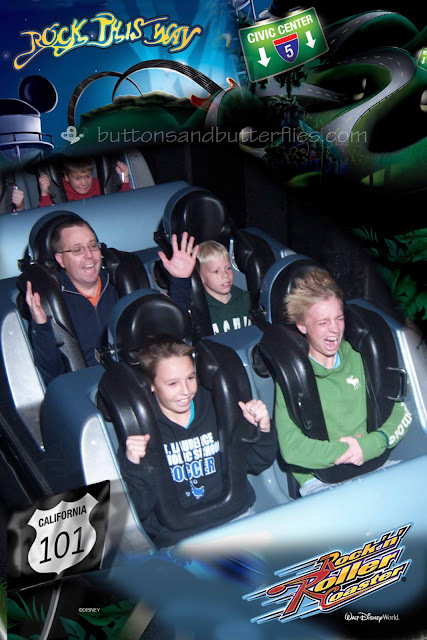 We re-rode all of our favorite rides. 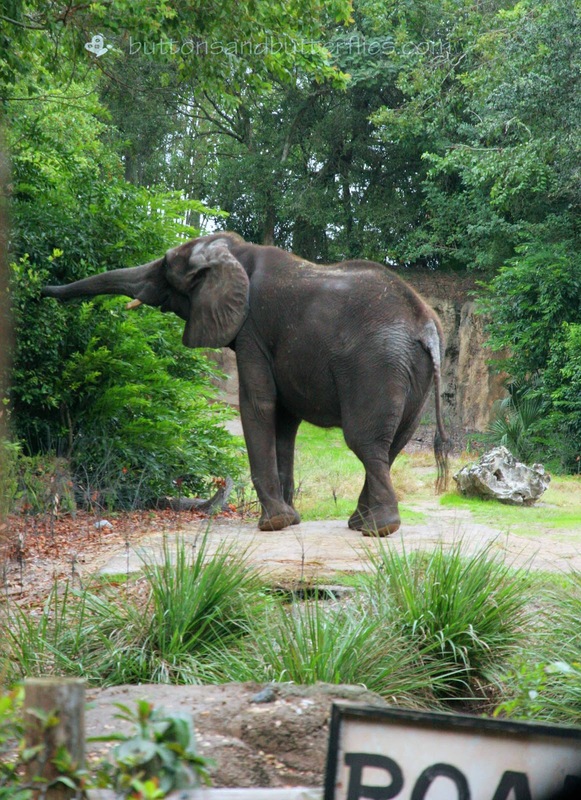 The safari ride proved to be amazing AGAIN! Dinner? Snow Crab Legs in Downtown Disney. Yum! It was the best Thanksgiving so far. Family, family, family. I am so thankful for them! I woke up in the middle of the night Friday and shouted loud enough to wake Mr. Boss. "We only stopped FOUR times today!" 16 hours driving and only stopped four times? My boys ROCK! If you are still here reading? 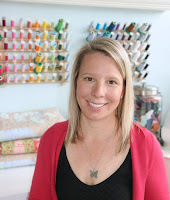 I promise....I WILL give you quilting eye candy! 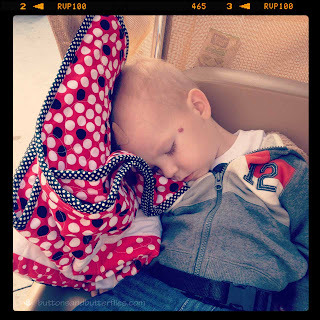 I will be sharing the Mickey quilt stats...a post is in the works!!!!!! What a wonderful trip you had. 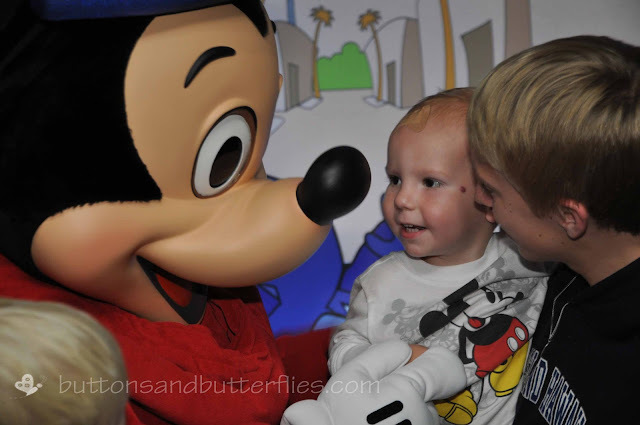 The excitement in the boy's and Button's eyes at the first meeting of Mickey were truly magical. Love it! I may have gotten all teary over the character/Button love cuteness. Great post! 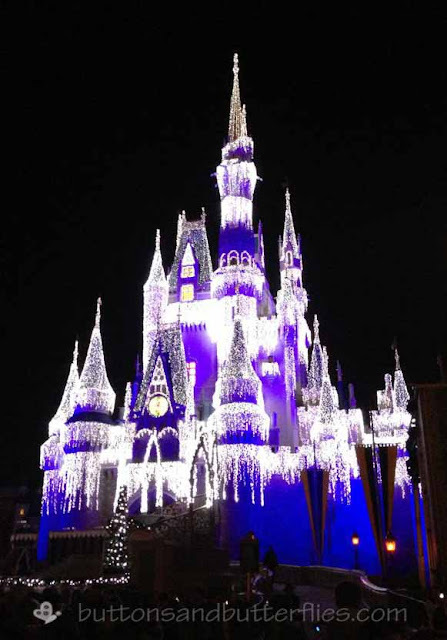 A bit of magic before Christmas! The Mickey quilt is very versatile! Sounds like a great trip! I've never been, I was always the kid that never went.... But, we are talking about taking the crew. Maybe next year. The ages should be about right, 3-9. 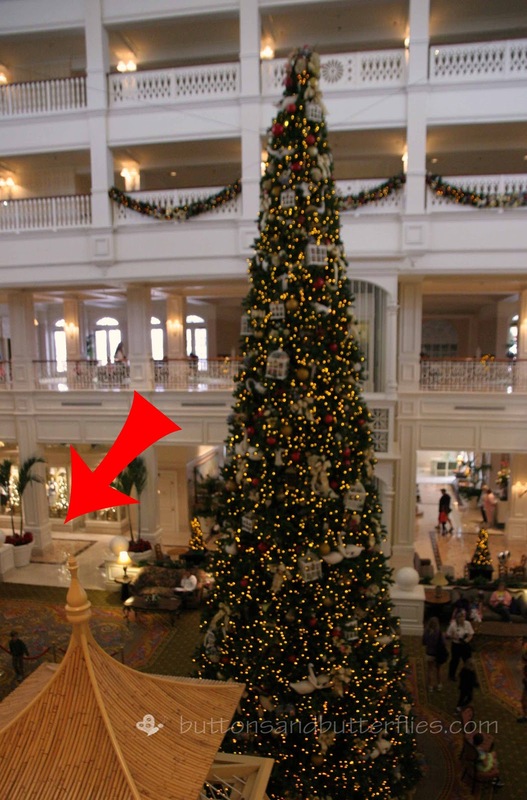 Can't wait to see the Mickey quilt! Sounds like you had fun even if it was cold. We went right after New Years, and the first day was sooo cold and windy. I love Disney, wish we lived closer to get there more often. Great memories for your boys. 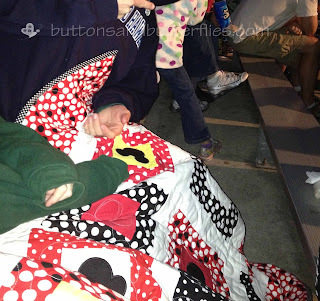 Love the Mickey quilt! Sounds like you had a fantastic time! Glad to hear kiddo's noggin is okay after the marble column encounter! The pictures of button melt my heart, I'm glad you guys had such a fun successful trip! Looks like such a great time! I loved all the pictures of Button meeting the characters. And as a bonus, I got to relive our trip to Disney last month by looking at all of your pictures! : ) Isn't it just the greatest place?? I can't wait to take the girls back! I ditto the recommendation of the Park Hopper option. It seems like something you wouldn't really need, but we were so glad we got it.